Exciting news is not in short supply at Holberton School. 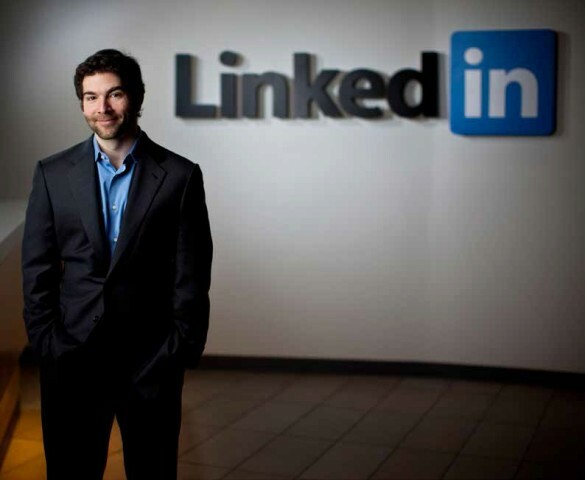 We are proud to welcome Jeff Weiner, Linkedin CEO, as an individual investor and advisor. Jeff was attracted to Holberton’s dedication to producing quality engineers. “Holberton is producing remarkable, Ivy League-caliber graduates, without the costs, the time or the prerequisites. I should know, we hired two of them before they even graduated,” said the LinkedIn CEO. Holberton School’s mission is to provide quality tech education to the most and it would seem the quality portion is already being noticed in the industry. The symbiotic relationship is not lost on Holberton School co-founder, Julien Barbier. “When you think of jobs and networking, you think LinkedIn, and with Jeff’s long-standing commitment to education, he will be a valuable asset to the school and of course, our students,” Holberton students learn that networking and relationships are just as important to master as the technical skills. “These are qualities that you don’t necessarily pick up from a degree. There are qualities…that have a tendency to be completely overlooked when people are sifting through résumés or LinkedIn profiles. And yet, increasingly, we find that these are the kinds of people that make the biggest difference within our organization. We are excited at the addition of Jeff to our team of investors working towards our mission of bringing high quality education to the most!